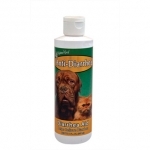 NaturVet's Anti-Diarrhea is a pleasant tasting liquid for use as an aid in the treatment of non-infectious diarrhea. Kaolin is an anti-diarrheal additive for the absorption of toxins. Pectin helps relieve simple diarrhea and gastroenteritis in dogs and cats. NaturVet's Anti-Diarrhea is made in the USA and has received the National Animal Supplement Council NASC Seal of Quality. 100% Money Back Guarantee! 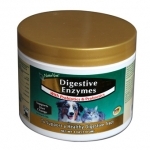 NaturVet's Digestive Enzymes with Prebiotics and Probiotics contain a source of: Alpha-Amylase which can hydrolyze starch; Protease which can hydrolyze proteins; Cellulase which can break down cellulose and Lipase which can hydrolyze triglycerides. NaturVet Naturals Allergy Aid - 60 Day provides a source of natural antioxidants to support a normal immune system and assist in combating environmental pollutants. 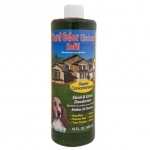 Contains Omega Fatty Acids and enzymes important to maintaining healthy skin and coat. 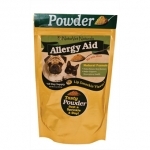 Also recommended for pets with seasonal allergies. NaturVet Naturals allergy Aid - 60 Day is made in the USA and has received the National Animal Supplement Council NASC Seal of Quality. 100% Money Back Guarantee! 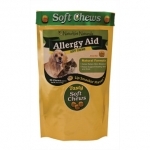 NaturVet Naturals Allergy Aid Soft Chews are recommended to help support your dogs proper skin moisture content for a healthy skin and coat while helping to support normal respiratory health. Soft Chews that taste like a treat. NaturVet Naturals Allergy Aid Soft Chews are made in the USA and have received the National Animal Supplement Council NASC Seal of Quality. 100% Money Back Guarantee! 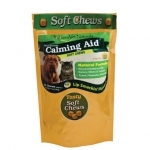 NaturVet Naturals Calming Aid Soft Chews is recommended to help support the nervous system in reducing stress and tension. NaturVet Naturals Calming Aid Soft Chews are made in the USA and have received the National Animal Supplement Council NASC Seal of Quality. 100% Money Back Guarantee! 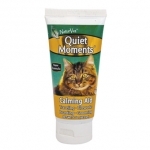 NaturVet's Quiet Moments Calming Aid Gel for Cats is recommended to help support the nervous system in reducing stress and tension. 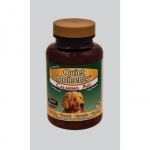 NaturVet's Time Release Quiet Moments Calming Aid Chewable Tablets are recommended to help support the nervous system in reducing stress and tension. NaturVet's Quiet Moments Herbal Calming Spray for Cats is formulated to simulate the type of pheromones that provide your cat with a sense of safety and well being. NaturVet's Quiet Moments Herbal Calming Spray for Dogs is formulated with simulated canine pheromones to create a sense of safety and well being for pets in a room, vehicle or carrier. 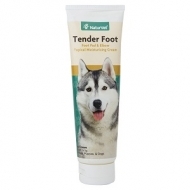 NaturVet's Tender Foot is easy to use, Tender Foot contains Vitamins A and E to help regenerate skin damaged by harsh elements. 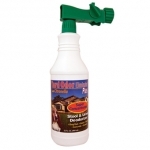 NaturVet's Yard Odor Eliminator Plus with Citronella - Ready to Use quickly eliminates offensive odors at their source; and is not a masking agent and does leave a disinfectant smell. 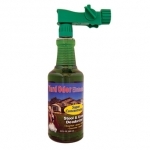 NaturVet's Yard Odor Eliminator - Ready to Use safely and effectively eliminates stool and urine odors. Four Paws Antiseptic Quick Blood Stopper Gel is designed to be used by both veterinarians and breeders to aid in the stopping of blood when docking, cropping and/or nail cutting. For use on dogs, cats and birds. 1.16oz. 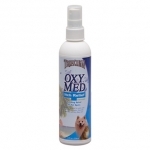 Oxy-Med Itch Relief is formulated to soothe and nourish dry, flaky skin and provide temporary relief from itching due to hot spots, scaling, flea bite dermatitis, eczema, flaking, and seborrhea.